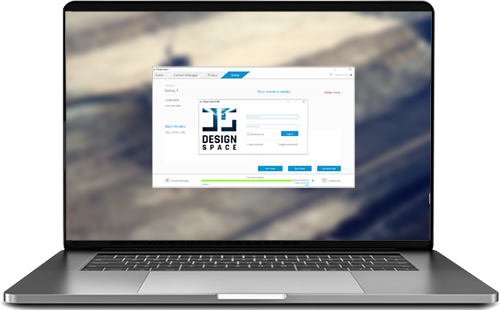 Design Space expands your CAD software, smoothens your own work and returns added value to your clients with the help of Virtual Reality. 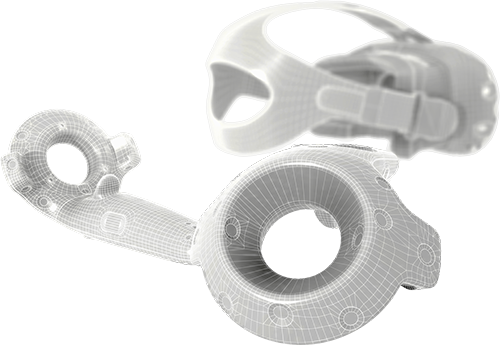 While Design Space has been engineered to generate substantial cost savings especially in industrial design and engineering, anyone working with 3D data can gain benefit from it. Design Space allows you to see your design the way it is meant to be seen. All the details and dimension of your construction, factory or a product become clear to you, your team and your client. Design Space comes to your aid already in the pre-planning phase and supports you throughout your whole project. Design Space creates virtual realities automatically from your 3D models and the attribute data stored in them. After working the 3D model within Design Space, you can easily export all the changes back to the original CAD software. Because Design Space is compatible with the most common CAD software, you can easily introduce it to the process you are best familiar with. Design Space allows you to bring together different parts of your design such as architectural model, 3D scan data, factory components, HVAC model etc. Design Space positions everything exactly according to the project coordinate system. This way you can conduct virtual collision, producibility, logistic and safety inspections. Unlimited amount of users anywhere in the world can work together in Design Space over the Internet. By supplementing your face-to-face and video reviews with interactive, authentic virtual reality, you can reduce the time and money spent traveling and achieve better results. All the 3D data used in Design Space is optimized in Microsoft Azure cloud service. Unauthorized people cannot access the data due to strong encryption. 3D is the natural language of the brain. If one doesn’t have an eye for it, 2D drawings or 3D models on a flat screen can be hard to conceive. In virtual reality everything is presented with immersion and depth. Therefore, with VR, you collect more quality information and make better decisions. Once introduced to our virtual reality, one of our clients has been able to reduce pre-planning costs 90 % compared to the preceding methods. By bringing together 3D models, IoT data, analysis algorithms and easy-to-use user interface, we can bridge the real and the virtual world in the most efficient way. The outcome is a digital twin of any factory, real estate or product. With a digital twin you can assess your factory’s production from anywhere in the world. You can see in real-time what is happening and where, which will allow you to make better decisions faster. Digital twins are also used for making predictions and simulating different scenarios. Design Space brings added value to designers, engineers, decision-makers and all of their stakeholders. Design Space clarifies any task or project at hand granting your business the competitive edge you need. If you already have installed VR head-mounted display (HTC Vive (Pro), Oculus Rift, Windows Mixed Reality), go ahead and try Design Space right away.